All 131 Van Halen Songs, Ranked From Worst to BestOnly time will tell if they stand the test of time. 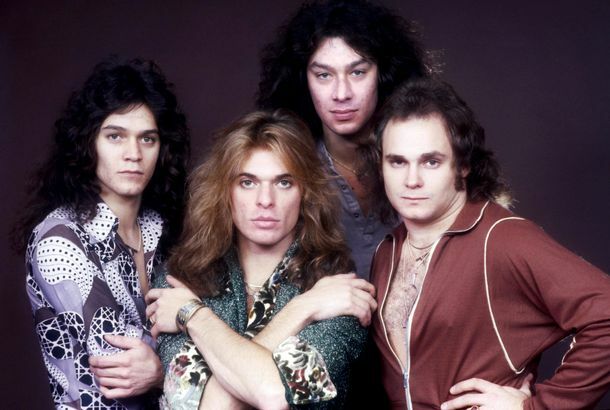 Van Halen Is Maybe Just Burned OutDepends who you ask. Van Halen Seems to Be Imploding AgainAs evidenced by the tour they just postponed with no explanation. David Lee Roth: The Conundrum of a Formerly Flamboyant Front Man in His FiftiesFans want him to be his 1984 self, even though in practice that would be innately creepy. Watch David Lee Roth Explain Why the Van Halen Rider Banned Brown M&M’sStill wearing sunglasses inside, at night, huh, DLR? Watch a Video for ‘Tattoo,’ a New Song From Van HalenWhat’s your secret, David Lee Roth? Because you don’t look a day over 50! Van Halen Just Rocked for 250 People in Greenwich VillageIt was more daunting to the reunited rockers than their usual Madison Square Garden fare. Supposedly. Van Halen Is Touring Again With David Lee RothFor real this time! Last Night on Late Night: Will Ferrell Threatens via Webcam to Shave Conan’s BeardPlus, Meatloaf cites the influences from film and sports that inspired the anti-Busey meltdown, on our regular late-night roundup. Look Out, Here Comes Guitar Hero: Van HalenBut can it be more fun than the David Lee Roth soundboard? Got It Made, Got It Made, Got It MadeScientists have discovered Van Halen’s legendary “No Brown M&Ms” rider. Extreme Gets Back Together, Every Living Band Now Officially UnitedGreat news, everyone! Eighties hair-metal gods Extreme are reuniting for a tour and their first album in thirteen years!